Beer at a Walmart in Kissimmee, Florida. Some states permit alcoholic beverages to be sold at all stores selling groceries while others have more restrictive laws, with laws of many states specifying different restrictions for different categories of alcoholic beverages. The following table of alcohol laws of the United States provides an overview of alcohol-related laws by first level jurisdictions throughout the US. This list is not intended to provide a breakdown of such laws by local jurisdiction within a state; see that state's alcohol laws page for more detailed information. On July 17, 1984, Congress passed the National Minimum Drinking Age Act. The bill would force all states to raise their drinking age from 18, 19, or 20 to 21. States that did not choose to raise their drinking age to 21 would risk losing 10% (Changed to 8% in 2012) of federal highway funding as a penalty. As of July 1988, all 50 states and the District of Columbia had a minimum purchase age of 21, with some grandfather clauses, and with the exception of Louisiana's complicated legal situation that was not resolved until July 2, 1996. Prior to 1988, the minimum purchase age varied by jurisdiction. After Congress passed the Act, states not in compliance had a portion of their federal highway budget withheld. South Dakota and Wyoming were the final two states to comply, in mid-1988. However, most states continue to allow those under 21 to drink in certain circumstances. Examples are some states like Tennessee and Washington, which allow those under 21 to drink for religious purposes. States including Oregon and New York allow those under 21 to drink on private non-alcohol selling premises. Unlike on the mainland, the U.S. territories of Puerto Rico and the U.S. Virgin Islands have a minimum purchase and drinking age of 18. The minimum purchase age is 21 in the Northern Mariana Islands, Guam, American Samoa, and US Minor Outlying Islands. U.S. military reservations are exempt under federal law from state, county, and locally enacted alcohol beverage laws. Class Six stores in a base exchange facility, officers' or NCO clubs, as well as other military commissaries which are located on a military reservation, may sell and serve alcohol beverages at any time during their prescribed hours of operation to authorized patrons. [i] While the installation commander is free to set the drinking age, with some exceptions, most stateside military bases have a drinking age that mirrors the local community. Individual states remain free to restrict or prohibit the manufacture of beer, mead, hard cider, wine, and other fermented alcoholic beverages at home. Homebrewing beer became legal in all 50 states in 2013 as the governor of Mississippi signed a bill legalizing homebrewing on March 19, 2013 and as the governor of Alabama signed a bill legalizing homebrewing of beer and wine which came into effect on May 9, 2013. The Mississippi bill went into effect July 1, 2013. Most states allow brewing 100 US gallons (380 L) of beer per adult per year and up to a maximum of 200 US gallons (760 L) per household annually when there are two or more adults residing in the household. Because alcohol is taxed by the federal government via excise taxes, homebrewers are prohibited from selling any beer they brew. This similarly applies in most Western countries. In 1979, President Jimmy Carter signed into law a bill allowing home beers, which was at the time not permitted without paying the excise taxes as a holdover from the prohibition of alcoholic beverages (repealed in 1933). This change also exempted home brewers from posting a " penal bond" (which is currently $1000.00). In land or property that is being rented or owned by the federal government, state, federal district, and territory alcohol laws do not apply. Instead, only laws made by the federal government apply. Alcohol may be served 24 hours a day unless restricted by local ordinances. Twenty-six of Alabama's 67 counties do not allow the sale of alcohol. However, possession and consumption remain legal within those 26 counties. Of the 26 "dry" counties, 23 have at least one "wet" city; these are considered "moist" dry counties. Within those 23 counties there are 43 wet cities. State law allows any city with a population greater than 1,000 located within a dry county to "go wet" if a referendum is passed by 50% of voters. State retains monopoly over wholesaling of distilled spirits only. Distilled spirits (liquor) are purchasable in either state-owned retail liquor stores, known as ABC Stores, or privately owned retail liquor stores. Privately owned retail liquor stores tend to be open on Sundays, public (federal & state) holidays, and later hours than state-owned liquor stores. Yes 21 21 Exception: Underage drinking allowed for religious  and medical purposes  Sales of any type of alcohol are legal at any store that has an off-premises liquor license, including but not limited to convenience stores and grocery stores. Bars may sell closed containers of alcohol for consumption off the premises. Drive-through liquor stores are allowed. Everclear Grain Alcohol Proof 190 (95% alcohol) is legal. A large percentage of the land area of Arizona is in Indian reservations, many of which have liquor laws considerably more restrictive than state law, up to and including total prohibition. "Beer busts" (all the beer/liquor one can drink for a set price) in bars are illegal. Persons 18 years of age or older may work in bars and liquor stores serving and selling alcohol. Patrons may not purchase for on premises consumption more than 50 ounces of beer, 1 liter of wine or 4 ounces of distilled spirits at one time. DUI penalties are some of the most severe in the nation. A person convicted of a DUI (even first offense) must have an interlock installed in his car for one year. Arizona has an 'Impaired to the Slightest Degree' law that can convict a person even if his BAC is less than .08%. 10 a.m. – 5 a.m. (Class B license) 7 a.m. – 1 a.m.
(Generally prohibited on Sundays, but exceptions can be made through local option.) Yes No 21 21 No exceptions to the law Has numerous dry counties and other dry areas, but private clubs can serve even in dry areas. No sales on Christmas Day. Alcohol sales are permitted 24 hours a day 7 days a week regardless of holiday in state casinos. California No 6 a.m. – 2 a.m. Yes 21 21 Exception: A minor will not be penalized for consuming alcohol if discovered or reported through a medical emergency. Relatively unrestricted; beer, wine and liquor available at grocery stores, convenience stores, gas stations, and warehouse clubs. No statewide holiday restrictions. You may serve alcohol if you are at least 21 years of age. City and county governments can set different sale hours. Yes No* 21 21 Exception: Underage consumption allowed on private non-alcohol selling premises with parental consent, for religious, medical, and educational purposes. Spirituous, vinous & malt liquor available in liquor stores and liquor-licensed drug stores only. Liquor stores closed on Christmas Day. Sunday sales restriction lifted on July 1, 2008. Liquor stores and liquor-licensed drug stores may have only one location, while beer may be sold in gas stations, supermarkets, and convenience stores. As of January 1, 2019, such establishments may sell full-strength beer. Appropriately licensed businesses may sell beer for both on and off-premises consumption. A small number of grocery stores are licensed as drug stores and sell full strength beer, wine, and spirits. As an example, a chain grocery store that has pharmacy services at most or all locations may elect a single location in the chain as the licensed establishment to sell beer, wine, and spirits. 11 a.m. – 1 a.m. (Sun.) 8 a.m. – 10 p.m. (Mon.–Sat.) 10 a.m. – 6 p.m. (Sun.) Yes No 21 Exception: No explicit age if a present legal guardian is 21 or older  21 Exception: Underage consumption is allowed on private non alcohol selling premises with parental consent, for medical and religious purposes, and on alcohol selling premises with parental consent. Sunday off-premises sales allowed as of May 20, 2012;   Sunday on-premises sales subject to local ordinances. Beer can be purchased at grocery/convenience stores. Spirits and wine can be purchased only at liquor stores. No off-premises alcohol sales on Thanksgiving, Christmas Day, and New Year's Day. Open container law applies only to drivers, not passengers. 8 a.m. – 3 a.m. Fri.–Sat. No retail sale of wine in containers larger than 1 gallon. FS 564.05 Supermarkets and other licensed business establishments may sell beer, low-alcohol liquors, and wine. Liquor must be sold in dedicated liquor stores which may be in a separate part of a grocery or a drug store. As of July 1, 2015, the restriction on 64 ounce refillable containers, or growlers, has been lifted and beer may be sold in quantities of 64 ounces, in addition to the previously legal 32 and 128 ounce sizes. Georgia No Hours of sale determined by local jurisdiction. No alcohol sales on Christmas Day. Yes No 21 21 Exception: Underage drinking allowed on non-alcoholic premises with parental consent, and for religious and medical purposes. 14% ABV cap on beer. In general, one may not be drunk in public. Though there is no state law prohibiting drinking in public, most municipal corporations and political subdivisions limit the possession of open containers of alcohol to private property, with notable exceptions being Savannah and Roswell. A charge of public drunkenness is only warranted when one is drunk in public and his acts are either loud or disorderly. Idaho No Yes 6:00 a.m. to 2:00 a.m., 7:00 a.m. to 1:00 a.m. in some counties Yes No Alcoholic beverages exceeding 16% ABV can only be sold in Idaho State Liquor Dispensary stores, or contracted stores. Illinois No Depending on local government; 24-hour bars are permitted in Cicero; a handful of 21- to 22-hour bars exist in Cook County, and the Metro East. In Rock Island County, many establishments sell alcohol 24 hours a day. Yes Opening/closing hours are up to the decision of counties or municipalities. Indiana No 7 a.m. – 3 a.m. 7 a.m. – 3 a.m. Noon - 8 p.m. on Sunday. 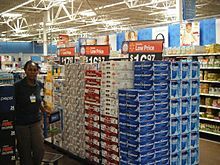 Yes Indiana prohibits the sales of cold beer by grocery stores or gas stations, but allows cold beer to be sold from liquor stores (IC 7.1-5-10-11). Minors, including babies, are not allowed to enter a liquor store. Indiana has a photo identification requirement for all off-premises transactions to anyone who is or reasonably appears to be less than forty (40) years of age. (See IC 7.1-5-10-23). 8 a.m. – 2 a.m. Sun  Yes If a controlled substance is detected in a person's system at or near the time they were operating a motor vehicle, they can be charged and potentially convicted of operating while intoxicated (OWI) even if they were not "impaired" by that substance. noon - 7 p.m. or 8 p.m. (Sun) (in communities which allow Sunday off-premises sales) Yes (6.0% ABV maximum) No 21 21 No exceptions to the law Kansas's alcohol laws are among the strictest in the United States. Kansas prohibited all alcohol from 1881 to 1948, and continued to prohibit on-premises sales of alcohol from 1949 to 1987. Sunday sales only have been allowed since 2005. Today, 29 counties still do not permit the on-premises sale of alcohol. 59 counties require a business to receive at least 30% of revenue from food sales to allow on-premises sale of alcohol. Only 17 counties allow general on-premises sales. Not all communities which allow off-premises sales allow sales on Sunday. Sales are prohibited on Christmas and Easter. Beer containing no more than 6.0% alcohol by volume may be sold in grocery and convenience stores. Prior to April 1, 2019, the only alcoholic beverage which grocery stores and gas stations were allowed to sell was beer with no more than 3.2% alcohol by weight. Other liquor sales only are allowed at state-licensed retail liquor stores. Kansas has comprehensive open container laws for public places and vehicles, public intoxication laws, and requirements for prospective on-premises or off-premises licensees. Kentucky No 6 a.m. to 4 a.m. on Monday through Saturday 1 p.m. to 4 a.m. on Sundays Yes No Local ordinance may vote to permit Sunday sales at restaurants. Sales 2–4 a.m. only in Louisville. As of 2005 Sunday sales were allowed per state law, but may still be prohibited in some areas by local ordinance (as of early 2006, such a situation existed with smaller cities within Louisville Metro, though these cities have since changed local ordinances). Alcohol sale restriction and wet/dry (both by drink and package) allowed by both county and city local option. Approximately 39 counties in the state (mostly eastern and southern counties) are dry, all alcohol sale and possession prohibited; 22 "moist" counties (with "wet" cities allowing package liquor sales in counties otherwise dry); 29 counties that are otherwise dry but have communities with local option that allow sales of liquor by the drink or under special exemptions allowing sales at wineries. Majority of wet counties are around major metropolitan areas (Louisville, Lexington, Covington, Bowling Green). Note: Beginning in 2013 Liquor by the drink and beer by the drink are available on Sundays in Louisville, KY beginning at 10:00 am. Bowling Green, KY recently began allowing Sunday sales in December 2013 for carry-out beer, wine, and liquor. Prohibition on liquor sales on Election Day was repealed effective June 24, 2013. Kentucky was one of only two states to still have Election Day prohibition, the other being South Carolina. The sale, handling, transport, or service in dispensing of any alcoholic beverage pursuant to lawful ownership of an establishment or to lawful employment of a person under twenty-one years of age by a duly licensed manufacturer, wholesaler, or retailer of beverage alcohol. Packaged alcoholic beverages of any strength may be sold in supermarkets, drug stores, gas stations, and convenience stores. Local municipalities may not restrict this. As a result, dedicated "liquor stores" are mostly specialty stores in larger cities, and some supermarkets have large selections of liquors and wines, and compete on the basis of liquor prices and selection. Alcohol can be consumed in the streets of New Orleans as long as it is in an "unbreakable container" (no glass) and may be taken from club to club if both establishments allow it. Otherwise, it depends on the locality. Most parishes other than Orleans Parish do not permit alcoholic beverages served on premises to be carried out. However, many parishes and municipalities permit consumption of packaged beverages (for example, cans of beer) on the street. Glass bottles on the streets are prohibited. One can enter most bars at 18 years of age but must be 21 years old to purchase or consume alcohol. Also, it is legal in the state of Louisiana for a legal parent or guardian to purchase alcoholic beverages for their underaged child. Maryland Variable by locality Variable by locality Variable by locality Variable by locality Baltimore County prohibits the sale on Sunday in some areas. In the counties of Montgomery, Somerset, Wicomico, and Worcester sale of alcoholic beverages are controlled directly by the county Liquor Control Boards, there are exceptions in Montgomery where some liquors are still sold in grocery store due to being grandfathered before the change of the law. Garrett County prohibits the sale on Sunday except in some areas. The sale of alcohol at grocery and convenience stores varies by county. There are no dry counties, but some individual voting districts within counties restrict or prohibit alcohol on a local-option basis. Yes 21 21 The Michigan Liquor Control Commission allows the sale of alcoholic beverages until 11:59 p.m. on December 24 and after 12:00 p.m. on December 25. On-premises sales are permitted on January 1 until 4:00 a.m. Local or county ordinance may restrict Sunday or Sunday morning sales. State does not operate retail outlets; maintains a monopoly over wholesaling of distilled spirits only. State owns liquor until purchased and distributor acts as a delivery service for cases sold to retailers. No sales on Christmas Day. No state open container laws. Complimentary alcohol all day and night in coastal casinos. In most counties, alcohol cannot be sold on Sundays. There are many dry counties in which it is illegal to possess alcoholic beverages, though some cities within dry counties have voted in beer sales. Sales permitted until 3:00 am in those Kansas City and St. Louis bars grandfathered into the ability to double as liquor stores. No state public intoxication law. State preemption of local alcohol laws which do not follow state law. Certain bars in Kansas City and St. Louis grandfathered into the ability to double as liquor stores. Montana No Yes Closing 2am No alcohol sales between 2 am and 8 am Yes Distilled spirits cannot be sold in grocery stores 21 Minors can consume alcohol purchased by a parent or guardian in a private location. ABV > 16% wine sold in state-contracted stores, ABV < 16% may be sold in grocery stores. Some local ordinances restrict alcohol sales on Sundays. State run liquor stores are closed on Sundays. Nebraska No 6 a.m. – 1 a.m. Legislation passed in 2010 allows for municipalities to extend on-premises sales to 2 a.m. with two-thirds approval of city or county councils. Yes No on- or off-premises sales of spirits before noon on Sundays. All beer, wine, and champagne can be sold starting at 6 a.m.
New Hampshire No Yes 6 a.m. – 1 a.m. 6 a.m. – 11:45 p.m. Yes No Liquor sold in state-run stores, many found at highway rest areas. 14% ABV cap on beer. State is wholesaler of wine. State taxes beer $0.30/gal at the wholesale level. New Jersey No Each municipality can control hours by local ordinance. Most municipalities have a last call of 2 or 3 a.m. Atlantic City, Brigantine, Absecon, Elwood, Pomona, Smithville, Galloway, and Mullica (All in Atlantic County) serve 24 hours. There are some dry towns in the southern part of the state, including Ocean City. 9 a.m.-10 p.m. for liquor. Beer and wine can be sold at any time on-premise sales are permitted in that municipality. This causes most liquor stores to close at 10 PM, however some will stay open an hour later selling only beer and wine. Cities of the first class (e.g. Jersey City and Newark) are exempt from this law and may set their own hours for liquor sales. Rarely 21 21 (unless provided by parent or guardian in private) Some dry communities in historically Methodist and Quaker communities in the southern part of the state. Though there is not a ban on selling alcoholic beverages at grocery stores, New Jersey limits each chain to two licenses, so with only a few exceptions, most supermarkets/convenience stores/gas stations/pharmacies do not sell alcoholic beverages. In addition, liquor sales are only permitted in a separate department or attached sister store. The ability of a "liquor store" to sell other items, such as convenience store fare, is determined by municipality. Many towns permit beer/wine/liquor stores to sell non-alcohol items including convenience store items at the same register. In such towns, grocery stores including chains may theoretically apply for and receive a liquor license if the company does not already have two in the state. Bars are allowed to off-sale packaged goods. With the exception of Jersey City and Newark, all municipalities MUST allow off-sales of beer and wine at any time on-sales are permitted. However, since alcoholic beverages are generally only found in package stores, this right is rarely exercised. Alcoholic beverages by the drink as well as off-sales of beer and wine are permitted 24 hours a day in Atlantic City and Brigantine. 7 a.m. – 11 p.m., except Sundays, for restaurants with beer and wine license. 7 a.m. – midnight except Sundays  Yes New Mexico issues two types of license for consumption on-premises: a full dispenser license allowing sale of all types of alcohol, or a restaurant license permitting sale of beer and wine only. An additional Sunday permit is available which allows sale (on or off premises) on Sundays from noon until midnight. Exceptions are the prohibition of alcohol sale on Christmas, regardless of the day it falls on,  and a Sunday permit allowing of sale (on or off premises) until 2:00 a.m. January 1, if December 31 falls on a Sunday. Sunday permits are only available where approved by voters within a local option district. Selling, serving and giving alcohol to a minor is a class 4 felony punishable by up to 18 months in prison,  except when "a parent, legal guardian or adult spouse of a minor serves alcoholic beverages to that minor on real property, other than licensed premises, under the control of the parent, legal guardian or adult spouse",  or for religious purposes. Some counties may retain the Sunday morning beer prohibition which the state discontinued as of July 30, 2006. Twelve dry towns, mostly in western region of state. Many counties have more restrictive off-premises hours, such as bans on beer sales overnight (hours vary). All liquor stores must be owned by a single owner, who owns that store and lives within a certain distance of it—effectively banning chain liquor stores from the state. New York City law does not allow open containers of alcohol in public. Distilled spirits may not be sold within 200 feet of a school, church, synagogue or other place of worship. Noon – 2 a.m. (Sun) No 21 No off-sale on Thanksgiving Day. No Christmas Day on-sale, nor sales on Christmas Eve after 6 p.m.
Ohio No Yes 5:30 a.m. – 2:30 a.m. 5:30 a.m. – 1 a.m. Yes, under 21% ABV 21 21 or older, unrestricted under supervision of individual's parent or legal guardian or legal age spouse  12% ABV cap on beer was removed on May 31, 2016. 21% ABV cap on wine. Some counties have more restrictive off-premises hours. The Division of Liquor Control does not operate retail outlets; it appoints private businesses to act as its agents and sell its products in exchange for a commission. Normal proof spirits (>21% ABV) are sold only in a limited number of agent stores. Many retail outlets sell diluted spirits (diluted by water to 21% ABV) under a more readily obtained permit. Sunday sales vary by county. Grocery stores: 6 a.m. - 2 a.m. seven days a week including holidays. Yes No 21 Consumption by those under 21 is not prohibited in private settings, where supervised by a parent or guardian. As of October 1, 2018, strong beer (up to 9% ABV) and wine (up to 15% ABV) can be sold in grocery and convenience stores, and can be sold refrigerated. Prior to this date, only 3.2% ABV beer could be sold in these outlets, and liquor stores could only sell strong beer and wine at room temperature. Distilled spirits are only available in package liquor stores. State law prohibits public intoxication, many counties and cities also prohibit public intoxication. Yes* No 21 Spirits can only be sold at state-operated stores. All persons must be at least 21 years of age to enter a state-operated liquor store alone. Beer is not sold at state-operated liquor stores. Beer (but not wine) to go can be purchased at beverage outlets in any quantity. Prior to 2015 beverage centers could only sell 24 pack cases or greater. The rules were relaxed to permit sales of beer in any quantity in 2016. Sunday sales were prohibited in LCB stores until 2003 (selected locations) and beverage outlets (owner's option) until 2005. Special permits may be purchased for certain organizations for fundraisers once per calendar year, and are valid for a total of six days under the same rules governing restaurants. Grain alcohol prohibited as a beverage. 10 a.m. – 6 p.m. (Sun)  No 21 21 All alcohol may be sold only in liquor stores. Bars may stay open until 2 a.m. in Providence only on Friday and Saturday nights and nights before a state-recognized holiday. No hard liquor sales after 7 p.m. and none on Sundays. Tennessee No Mon-Sat: 8 a.m. to 3 a.m.; Sun: Noon to 3 a.m. Hours of alcohol sale can be modified by local jurisdictions if approved by the alcohol control commission. Beer: By municipality. Wine & Spirits: 8 a.m. to 11 p.m. Mon–Sat, 10 a.m. to 11 p.m. Sun   Yes No 21 Wine may be sold in grocery stores. Liquor stores may remain open on Sundays, and liquor is permitted to be sold from retail stores for off-premises consumption.There are no liquor sales in OFF Premise Grocery Stores as of 8/2018. Retail package stores must be closed for business on Christmas, Thanksgiving Day, and Easter. Beer above 8% ABW /10.1% ABV must be sold in liquor stores. Open container law only applies to drivers, not passengers. It is legal to carry alcohol in a non-glass container on the Beale Street stretch in Memphis. While most clubs allow drinks to be carried outside, many do not allow drinks from outside. Sunday: Noon to 12 midnight. 10 a.m. to 9 p.m. (Mon.-Sat.) Yes No 21 No alcohol cap but ABV > 15.5% requires additional license, so many places are beer/wine only. Wet/dry issues determined by city/county election. Liquor stores statewide closed all day Sunday. An alcoholic beverage served (on-premises) to a customer between 10 a.m. and noon on Sunday may only be provided during the service of food to the customer. Eleven Texas counties are completely dry. In many counties, public intoxication laws are vigorously upheld. Texas law permits consumption by minors (any age under 21) if in the "visible presence" of a parent, guardian or adult spouse. (Section 106.04) Possession by minors is permitted as part of employment or education, or in the visible presence of an adult parent, guardian or spouse, or supervision of a commissioned peace officer. (Section 106.05) There are also exemptions for minors requesting or receiving medical attention. Utah Yes Restaurants: Noon to midnight for liquor, 10:00 a.m. to 1:00 a.m. for beer. Bars may serve liquor from 10:00 a.m. to 1:00 a.m. Varies by state liquor store hours 3.2 only No 21 ABV > 4.0+% sold in state-controlled stores only. 3.2% ABW (4.0% ABV) beer may be sold at grocery stores and convenience stores. State-controlled stores close on Sundays and cease operations no later than 10 p.m. the rest of the week. Restaurants must buy from the state-controlled store (no delivery) at retail prices. No alcohol is served in restaurants without purchase of food. Sales of kegs prohibited. Importation of alcohol into the state by private individuals generally prohibited. Vermont No Yes 8 a.m. – 2 a.m. 6 a.m. – midnight Yes No 21 ABV > 16% beer and ABV > 16% wine are only available through state liquor stores (most of which are integrated within grocery and beverage stores ). A 2008 bill allows the sale of beer in grocery and convenience stores up to ABV 16%. Virginia No Yes 6 a.m. – 2 a.m. No restrictions at any time for club licensees. 6 a.m. – 11:59 p.m. except local blue law. Yes No 21 Licensed supermarkets, convenience stores, and gas stations may sell beer and wine. Off-premises sales no later than 12 midnight. Liquor stores are owned and operated by the Commonwealth and are generally open 10am-9pm Monday-Saturday and from 12pm-6pm on Sunday. Washington No 6 a.m. – 2 a.m. (A local government subdivision may establish later opening hours or earlier closing hours.) Yes 21 Beer and wine are available in specialty stores, grocery stores, convenience stores, department stores, taverns, and other locations licensed by the Washington State Liquor and Cannabis Board. Spirits are available in stores greater than 10,000 sq ft (grocery stores, big box liquor chains). There are two exceptions to the 10,000-sq-ft rule: 1) Former State and Contract Liquor Stores that reopened under private ownership may also sell spirits provided they have been issued a new license from the state. 2) Cities, mostly in rural areas, that do not have a store that meets the minimum floor space may be allowed to sell spirits if the Liquor Control Board deems that there are no sufficient establishments within the trade area. Mon-Fri:7 am-3:30 am, Sat: 7A-3:00A, Sun:1 pm-3 am Yes 21 12% ABV Cap on Beer. 75% ABV spirits Permitted. Liquor, wine and beer products that are not already in closed packaging must be bagged before exiting retail locations. State no longer operates retail stores (formerly State ABC Stores); Number of privately owned stores restricted according to county or city population. All stores are state contracted; Bars and clubs must purchase liquor from state contracted private stores in person. State retains monopoly over wholesaling of distilled spirits only. Wisconsin No 6 a.m. – 2 a.m. Sunday–Thursday, 2:30 a.m. Friday–Saturday, no closing time on New Year's Day. 6 a.m. – midnight for beer (some counties and municipalities only allow sales until 9 p.m. for beer), 6 a.m. – 9 p.m. for liquor and wine By local ordinance 21 Wisconsin permits the consumption of alcohol by minors, provided they are being supervised by parents/guardians/spouses. Most municipalities have a uniform 9 p.m. restriction on all alcohol sales. Notable exceptions: Kenosha, Green Bay, La Crosse, Maple Bluff (near Madison), Baraboo (near the Dells). Supermarkets, liquor stores, and gas stations may sell liquor, wine, and beer. Law changed effective 12/7/2011 to allow all liquor sales to begin at 6 a.m.
Nonalcoholic beer is not regulated by state law. Puerto Rico No No territory-wide mandated last call No territory-wide mandated hours of operation for liquor stores, but sales prohibited on Election Day and during hurricane emergencies; some municipalities prohibit sales after midnight weekdays or 2:00 weekends. Beer, wine and spirits available for sale in supermarkets, convenience stores and drug stores as well as liquor stores. 18 Minimum drinking age is 18. Drinking on the street is illegal in San Juan (except in designated areas during selected street festivals) but not in all cities. ^ The U.S. Department of Defense defines Authorized Patron as a person who is an active member of or a member who has the status of honorably retired from the U.S. Army, U.S. Air Force, U.S. Coast Guard, U.S. Marine Corps, and the U.S. Navy, and their direct dependents with proper military identification/dependents identification. ^ Bragg, Rick (1996-03-23). "Louisiana Stands Alone on Drinking at 18". The New York Times. ISSN 0362-4331. Retrieved 2015-11-10. ^ "Louisiana Court Upholds Drinking Age of 21". The New York Times. 1996-07-03. ISSN 0362-4331. Retrieved 2015-11-10. ^ Phillip Rawls / The Associated Press (2013-05-10). "Home brewing legal in Alabama". Tuscaloosa News. ^ Chris Elkins (2013-03-19). "Gov. Bryant signs bill to allow home brewing | Daily Journal". Djournal.com. Archived from the original on 2013-04-10. Retrieved 2014-01-26. ^ "27 CFR 25.205 - Production. | LII / Legal Information Institute". Law.cornell.edu. 2014-01-13. Retrieved 2014-01-26. ^ Alaska Alcoholic Beverage Control Board Local Option List Archived 2010-06-02 at the Wayback Machine. Retrieved 2010-03-31. ^ "FAQ". Arizona Department of Liquor Licenses and Control. Retrieved 2012-08-03. ^ "Division 10.7 of the California Health and Safety Code". California Office of Legislative Counsel. Retrieved March 13, 2019. ^ "California Business and Professions Code § 23403". California Office of Legislative Counsel. Retrieved March 13, 2019. ^ "Governor signs 'sip and spit' bill". UC Davis. ^ a b . Retrieved 2015-01-11. ^ Zalaznick, Matt. "Norwalk Liquor Stores Can Open Sunday". The Norwalk Daily Voice. Retrieved 13 July 2012. ^ Smith, Alissa. "Norwalk Welcomes Sunday Liquor Sales". The Norwalk Daily Voice. Retrieved 26 July 2012. ^ "Title 4". delcode.delaware.gov. Archived from the original on 2013-06-26. Retrieved 2015-08-20. ^ "Sunday alcohol sales begin in Winder". AccessNorthGa. 2011-11-14. Retrieved 2012-06-15. ^ "Hawaii Alcohol Laws". AlcoholLaws.org. Retrieved 2016-01-29. ^ "FAQ". Iowa ABD. Retrieved 2012-06-15. ^ "Current Active Agency Liquor Stores". Maine Liquor Licensing and Compliance Division. Augusta, ME, USA: Maine State Police. Retrieved December 12, 2011. ^ "Maine Bureau of Alcoholic Beverages & Lottery Operations: Alcoholic Beverages". Maine Bureau of Alcoholic Beverages & Lottery Operations. Retrieved 29 June 2011. ^ "Title 28-A, §123: Local option questions". ^ Moretto, Mario (March 13, 2010). "Voters pave way for expanded liquor service in Sedgwick". Bangor Daily NEws. Retrieved March 30, 2010. ^ "Massachusetts Alcoholic Beverages Control Commission (ABCC)". Mass.gov. Retrieved 2012-06-15. ^ "Massachusetts Alcoholic Beverages Control Commission (ABCC)". Mass.gov. Retrieved 2012-08-01. ^ Michigan Alcohol Laws . Retrieved 2010-12-02. ^ "LARA - Liquor Control Commission". www.michigan.gov. Retrieved 2016-01-29. ^ a b Coolican, J. Patrick. "Gov. Dayton signs bill legalizing sale of alcohol on Sundays". Star Tribune. Star Tribune. Retrieved 7 March 2017. ^ 340A.601, Minn. Stats. . Retrieved 2011-05-06. ^ "Don't Try This at Home". Energy. ^ a b Chapter 312, R.S.Mo. ^ Ph.D., Prof. David J. Hanson, (2015-09-29). "Montana Alcohol Laws: What's Legal and Not Legal". Alcohol Problems & Solutions. Retrieved 2018-07-03. ^ "Nebraska Bill 861" (PDF). Archived from the original (PDF) on 2010-05-27. Retrieved 2010-06-03. ^ "NRS 202.065 Sale of alcoholic beverage containing more than 80 percent of alcohol by volume". Retrieved 25 June 2014. ^ "Nevada Revised Statutes: Chapter 458, Section 260". Retrieved 2007-05-10. ^ "Panaca". Nevada Commission on Tourism. Retrieved 29 September 2013. ^ "Product Approval: North Carolina ABC Commission". Abc.nc.gov. Archived from the original on 2014-01-21. Retrieved 2014-01-26. ^ "Happy Hour FAQs" (PDF). Abc.nc.gov. Retrieved 2019-02-10. ^ Armon, Rick. "Ohio governor signs bill doing away with state's ABV limit". www.ohio.com. Retrieved 2016-08-09. ^ "Ohio Revised Code" TITLE  XLIII LIQUOR" CHAPTER 4301: LIQUOR CONTROL LAW". Retrieved 2007-10-18. ^ "Ohio Revised Code" TITLE  XLIII LIQUOR" CHAPTER 4301: LIQUOR CONTROL LAW". Retrieved 2010-08-19. ^ "Law Orientation for Retailers" (PDF). Retrieved October 26, 2014. ^ "Pennsylvania Liquor License Company". Pennsylvanialiquorlicense.com. Retrieved 2015-02-24. ^ "Pennsylvania Wine Law Primer". Wine School of Philadelphia. ^ "ANNOUNCEMENT REGARDING CHANGE TO R.I. GEN. LAWS § 3 - 8 - 1" (PDF). Department of Business Regulation. Retrieved 2014-01-26. ^ "TN Alcoholic Beverage Commission". Archived from the original on 2016-04-24. Retrieved 2016-05-07. ^ "Tennessee HB1540 | 2017-2018 | 110th General Assembly". LegiScan. Retrieved 2019-01-01. ^ "TABC Local Option Elections General Information". Tabc.state.tx.us. Archived from the original on 2014-05-16. Retrieved 2012-06-15. ^ "Texas Public Intoxication Laws". Retrieved 2016-01-29. ^ "Your Vermont State Liquor Stores". Vt. Dept. of Liquor Control. Archived from the original on 2014-04-14. Retrieved 2014-04-13. An * indicates an alcoholic beverage control state or county.